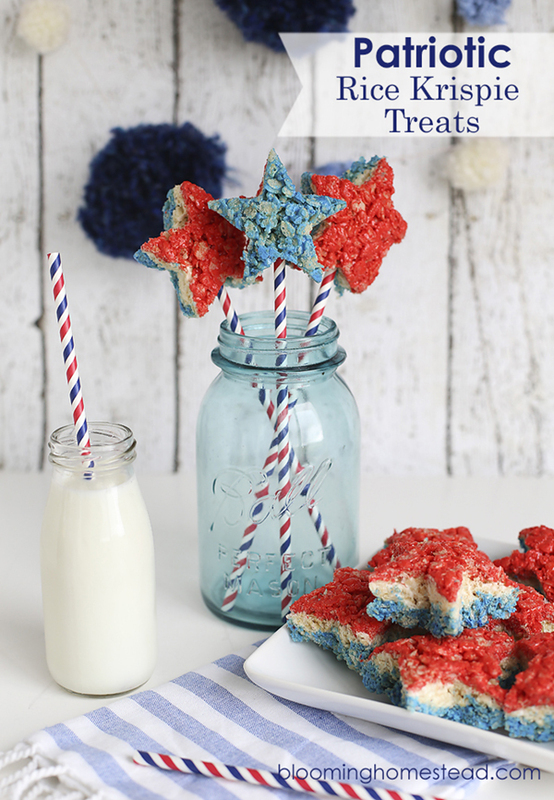 8 AWESOME 4th Of July Rice Krispies® Treats! Lovelies! 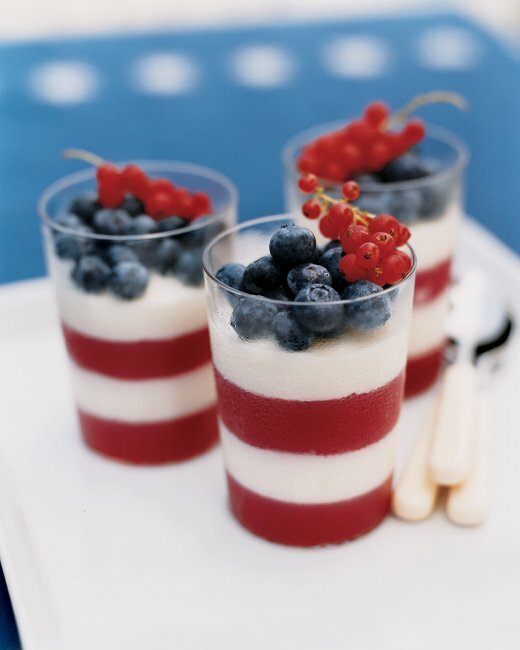 We can’t believe 4th of July is almost here. With the holiday right around the corner, it’s time to get planning! We have so many great ideas and inspirations to show you over the next few days, we can’t wait! 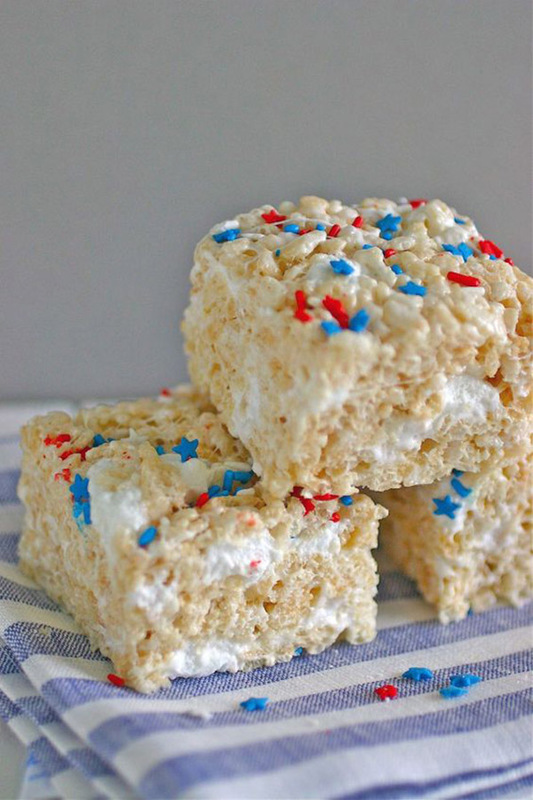 Today, we have an amazing round up of 4th of July Rice Krispies treats. 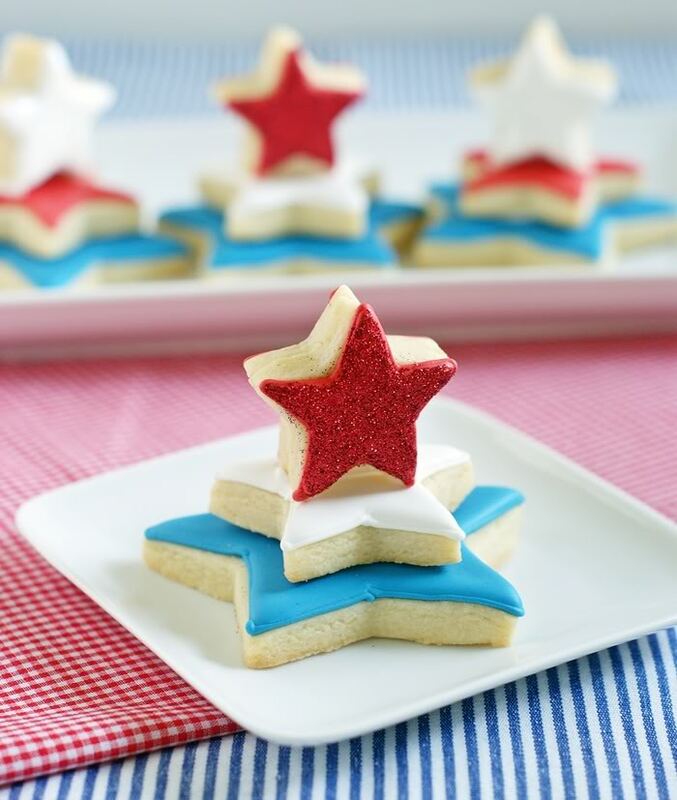 We love these oooey, gooey treats for all holidays and 4th of July is no exception. 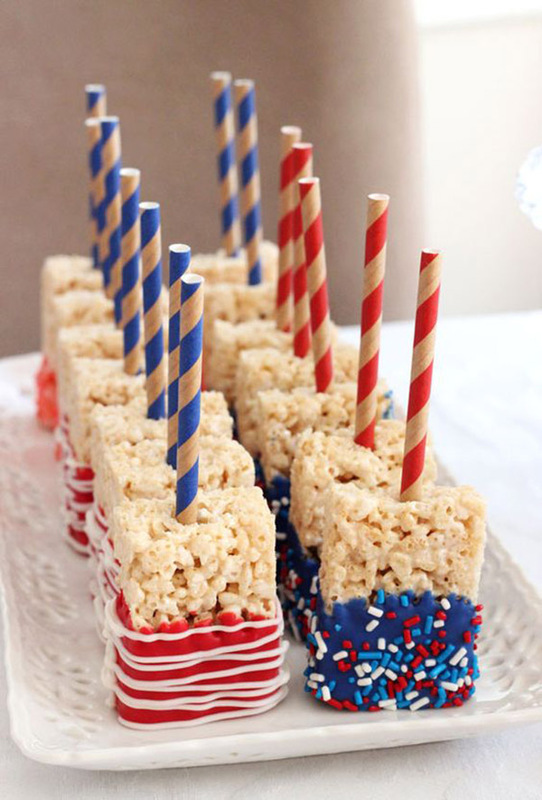 Rice Krispies are so easy to make and can be made into so many adorable shapes, sizes and colors. 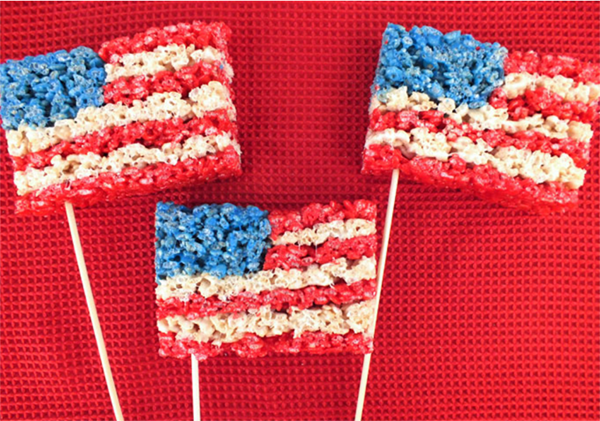 With red, white and blue, flags, stripes and stars, there are so many ways you can do these fun treats for 4th of July. 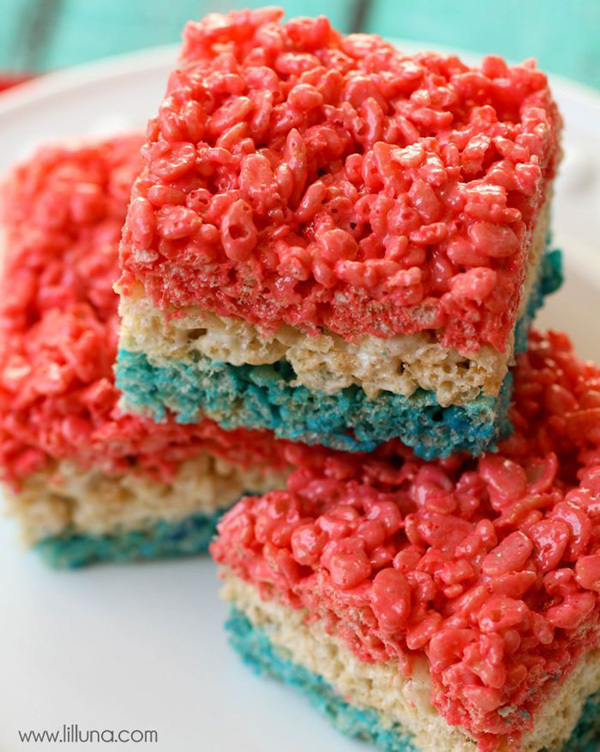 These red, white and blue Rice Krispies treats are sure be a huge hit at any get together! 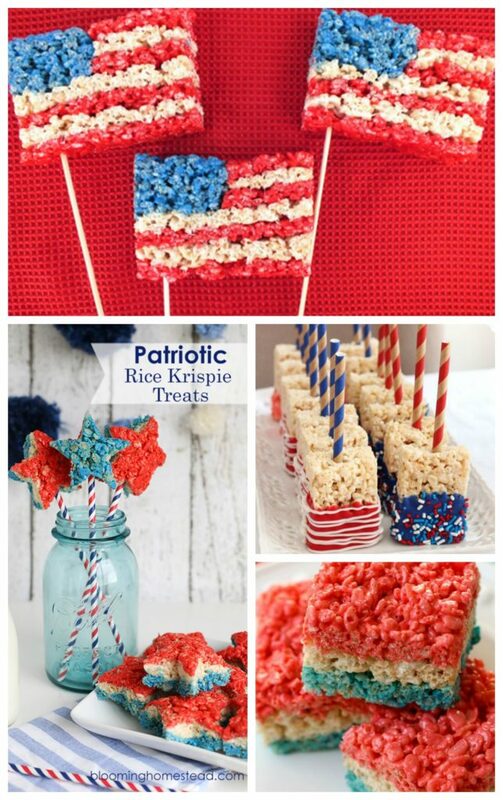 They are all so lovely, it will be hard to pick which one you’re going to make for your party. Maybe 1 of each! 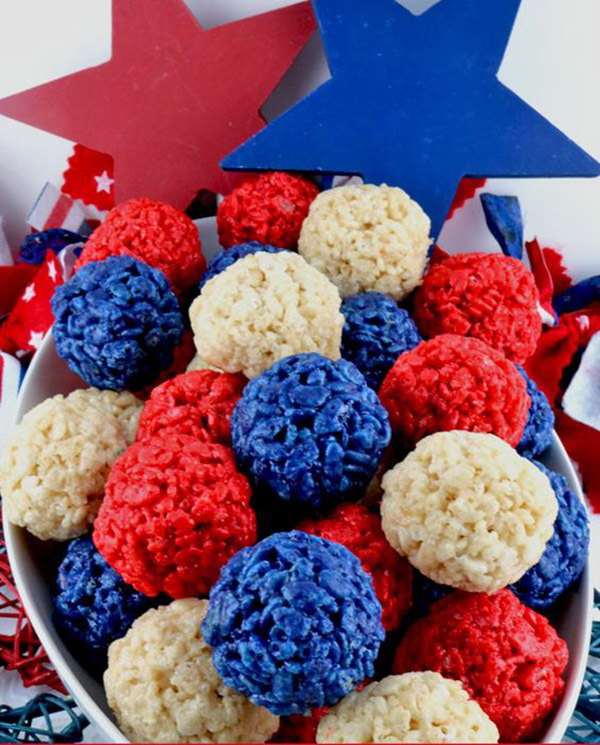 The Star of Your 4th of July Party! 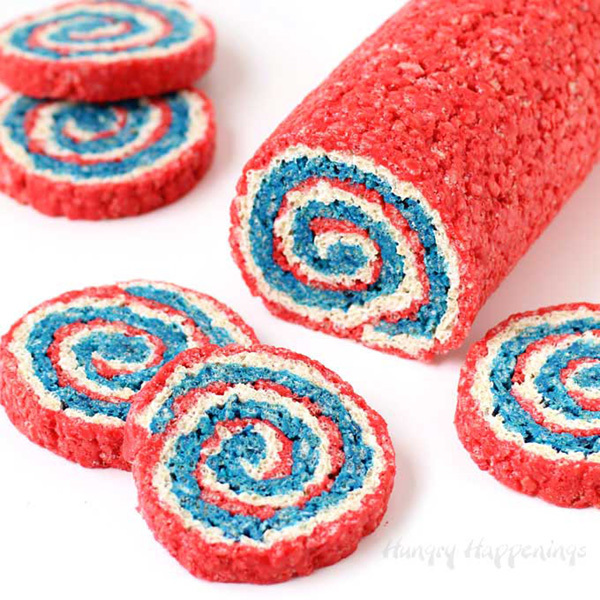 10 Amazing 4th Of July Donuts! 4th Of July Drink Bar That’s Full Of Red, White And Blue! A Fruitful 4th of July!